Check out our case study on Level39, a world-class technology community and incubator that supports over 1200 high-tech, global companies in fintech, cybersecurity, retail technology, smart-cities, and enterprise technology. Level39 is located in Canary Wharf, London’s biggest financial hub and a major center for technology startups. After looking through possible solutions to keep in touch with their members and provide them with powerful communications spaces, the team chose Zoom Rooms for its compatibility with off-the-shelf hardware, reliability, and cost-effectiveness. Zoom’s competitors were too costly, wouldn’t run on off-the-shelf-hardware, and couldn’t properly support dual and triple screen experiences. Level39’s deployment of Zoom Rooms could not have been easier. Zoom Rooms is software driven and plug and play, making it super easy to set up. The end result is an advanced conference and collaboration space where people can record their meetings, share their screens, and invite visitors, all via one-click processes. “With the money for one traditional room, we could make six or seven Zoom Rooms. We didn’t have to deal with middle partners or suppliers, I was just able to get off the shelf hardware and connect it to zoom in a few clicks. We’ve saved huge sums on custom hardware and licenses and Zoom keep releasing great features … A key decision feature was that Zoom’s support team knows their product inside out and are always available. I was surprised at how quickly I got a response from Zoom’s support team via email or live chat,” says Qaunain Meghjee, head of systems & technology at Level39. Since deployment, Level39’s Zoom Rooms have become the most popular and most booked meeting rooms by their members. In addition to collaborative meetings, members use the Zoom Rooms for everything from interviews and international board meetings to podcasting and product demo sessions. In 2017, Level39 won the opportunity to host the United Kingdom’s official Cyber Demonstration Centre, the organization responsible for providing oversight and strategic guidance to the UK government on supporting the development of a cybersecurity ecosystem. Zoom Rooms powers this facility as it allows for secure local and remote product demos on multiple screens via wireless screen sharing of laptops, mobile devices, and tablets. 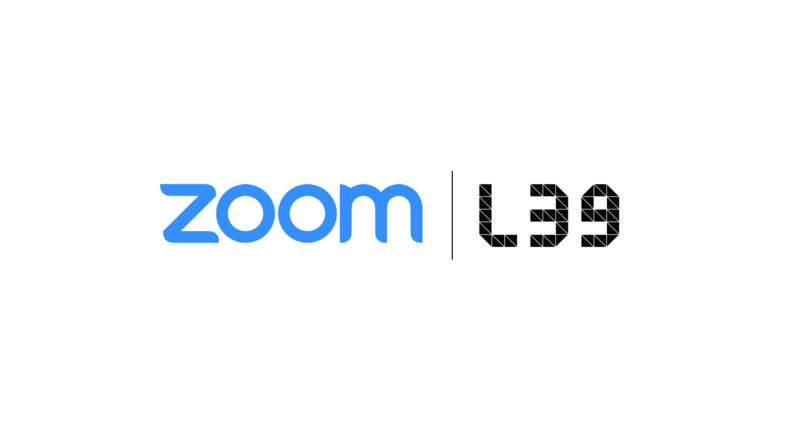 For their next steps with Zoom, Level39 plans to use Zoom Rooms Digital Signage for some of their ecosystem mentoring sessions and is working with the Zoom API platform to incorporate self-generating Zoom Rooms conference codes for a meeting room portal which Qaunain recently launched. Read the full case study, and make sure to check out other case studies as well. Ready to learn how Zoom can kick start your venture? Sign up for a 1-on-1 demo with a Zoom product specialist today!